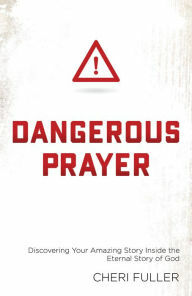 Dangerous prayers happen when you turn your all over to God and offer yourself as a living sacrifice (Romans 12:1). They don’t take you to a comfortable, easy place. They test you, stretch you, and take you where you wouldn’t have chosen. They change not only your life but the lives of other people. Join gifted speaker and award-winning author, Cheri Fuller, as she illustrates—from Bible times to today—what happens when God’s people pray dangerous prayers. Each of the 21 chapters is rooted in scripture and weaves together a beautiful tapestry of lives and kingdoms impacted through the power of prayer.